Mule Deer Hunting - From Monster Desert Mule Deer in Mexico to Trophy Mule Deer in Alberta, Canada, we?e compiled a great selection of Mule Deer hunts, 111 in total. 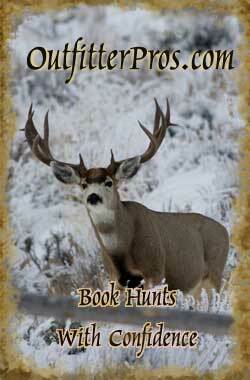 Mule Deer hunts from reputable big game guides and outfitters for that trophy room filling hunting experience. Guided and self-guided (drop camps) bow and gun Mule Deer hunts. Mule Deer Guide (Odocoileus hemionus)Mule deer make their home in the Rocky Mountain region stretching from the northern most areas of Alaska and Canada clear down to the northern areas of Mexico. They are generally larger in overall size than a whitetail deer. The mule deer has several sub-species. The desert mule deer is smaller in overall weight and antler mass than the Rocky Mountain mule deer. Its habitat ranges in the southern desert areas of the United States into northern Mexico. Sitka black-tailed deer are also a sub-species that inhabit the coastal forest areas of southern Alaska and British Columbia in Canada. The Columbia black-tailed deer inhabits the wet forested coastal regions of Oregon, Washington, northern California and British Columbia. The mule deer gets its name from its large mule-like ears. Adult male mule deer are called bucks, adult females are called does, and young of both sexes are called fawns. Its closest relative is the black-tailed deer (considered by some a subspecies of mule deer). Unlike its cousin, the white-tailed deer, mule deer are generally more associated with the land west of the Missouri River. The most noticeable differences between whitetails and muleys are the color of their tails and configuration of their antlers. The mule deer's tail is black tipped. Mule deer antlers are bifurcated, or "fork" as they grow rather than branching from a single main beam (as with white-tails). Each year a buck's antlers start to grow in spring and are shed after mating season from mid-January to mid-April. Mule deer bucks have somewhat more prominent ears than females. Instead of running, mule deer move with a bounding leap (stotting) with all four feet coming down together. The mule deer stands 40 to 42 inches at the shoulders and stretching 80 inches or so nose to tail. An adult buck will weigh from 150 to 300 pounds on the hoof, with does averaging 100 to 175 pounds. The occasional trophy-sized mule deer buck may weigh in around 400 pounds. The Mule Deer does not show marked size variation across its range as does the Whitetail Deer. In addition to movements related to available shelter and food, the breeding cycle is important in understanding deer behavior and personality. The "rut" or mating season usually begins in the fall as does go into estrus for a period of a few days and males become more aggressive, competing for mates. Does may mate with more than one buck and go back into estrus within a month if they do not settle. The gestation period is about 190?00 days, with fawns born in the spring, staying with their mothers during the summer and being weaned in the fall after about 60?5 days. A buck's antlers fall off during the winter, to grow again in preparation for the next season's rut. For more information see main article on deer. 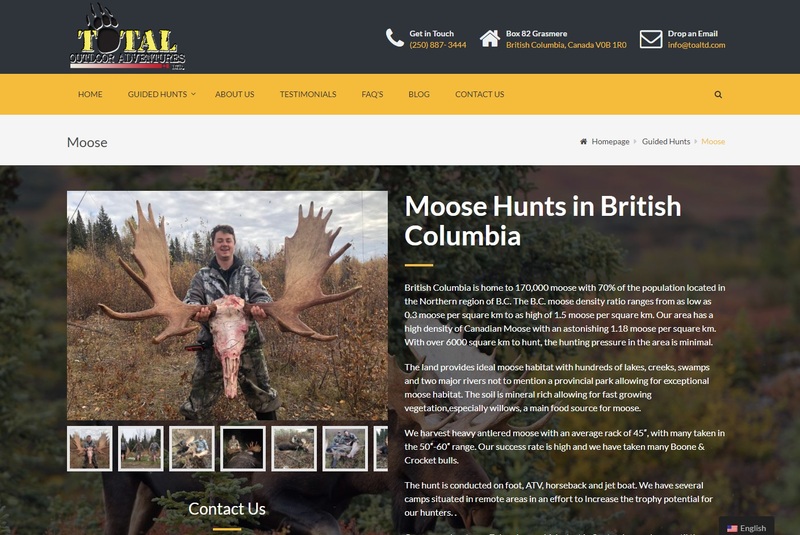 Gun and Bow hunts in Colorado, New Mexico, Idaho, Montana, Wyoming, Mexico, Alberta, Saskatchewan Canada, and more.